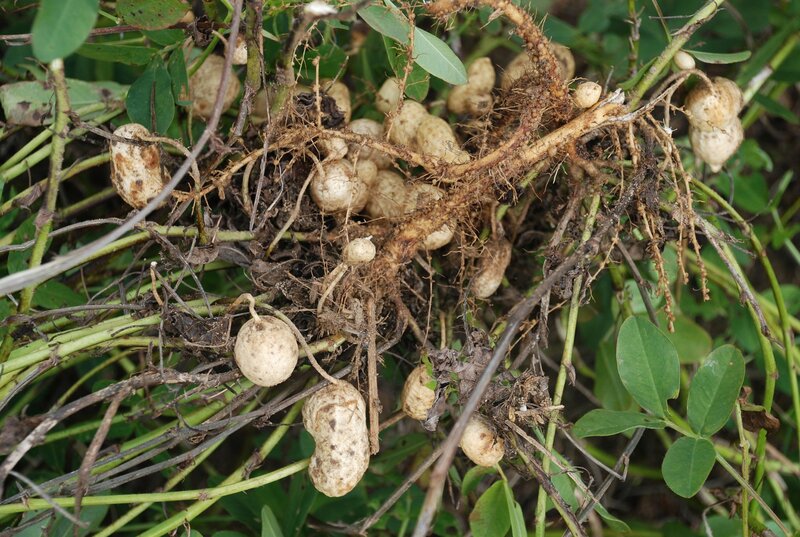 Valor (flumioxazin) is a commonly used herbicide in peanut for weed control. It can be tank mixed with Warrant, Strongarm, Prowl H2O and other residual herbicides to apply as PRE. 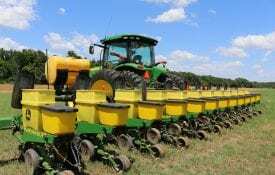 Valor provides excellent control of pigweed, FL pusley, beggarweed and can also suppress multiple annual broadleaf species such as morningglory, sicklepod and teaweed. 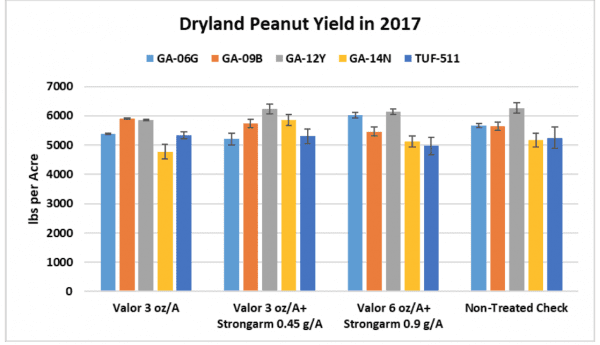 Currently, we do not have enough information regarding the tolerance of newer peanut varieties to Valor-based tank mixes in dryland. 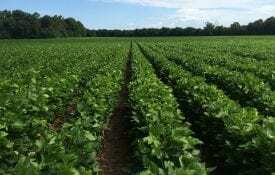 Therefore, research trials were conducted in 2016 and 2017 at Shorter, Fairhope and Headland, AL, to evaluate the tolerance of five common peanut varieties to Valor and Valor-based treatments. At each location, GA-06G, GA-09B, GA- 14N, GA-12Y and TUF-511were planted in May to early June, and sprayed with different treatments immediately after planting with backpack sprayers. Experimental design was RCBD with 4 replications. All trials including non-treated check were maintained weed free during the season. Peanut height and final yield were measured at each location. Data was analyzed in SAS 9.4. Only yield data is shown here. 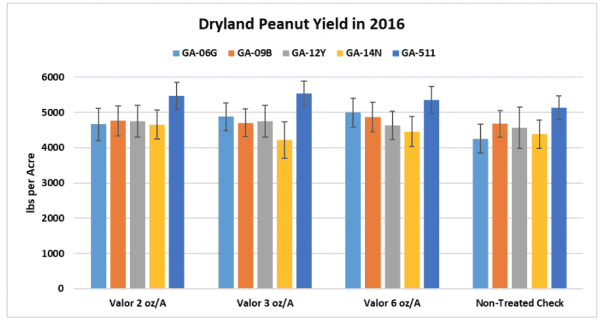 Figure 1: Peanut yield responses to Valor treatments in 2016. Data was averaged across three locations in Alabama (Headland, Shorter and Fairhope). Peanut yield was not different between treatments as compared to weed free non- treated check. Figure 2: Peanut yield responses to Valor based treatments. Data was averaged across three locations in Alabama (Headland, Shorter and Fairhope). Peanut yield was not different between treatments as compared to weed free non- treated check. Significant stand reductions of 6-17% were observed only in Macon County in 2016 (data not shown). Peanut varieties evaluated showed very good tolerance to Valor and Valor based tank mixes. No yield loss was found in any location and not one variety showed greater sensitivity to Valor than other varieties tested. Temporary seedling stunting may be expected but peanut will soon recover from injury under normal growing conditions. Considering ALS-resistant pigweed is very prevalent in peanut production area, Valor based treatments are good options to control this weed and to further delay the evolution of herbicide resistance. 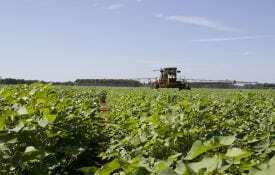 However, another chemistry such as Prowl H2O or Warrant, should always be tank mixed with Valor to provide extended weed control spectrum and to delay PPO-inhibitor resistance pigweed from showing up in peanut producing areas. More work is underway to compare Valor + Dual Magnum to other Valor based treatments in Alabama dryland peanut for crop tolerance.